Relationships can be complex and they all come with their own unique sets of ups and downs. No one is immune from the day-to-day struggles of maintaining a healthy relationship. 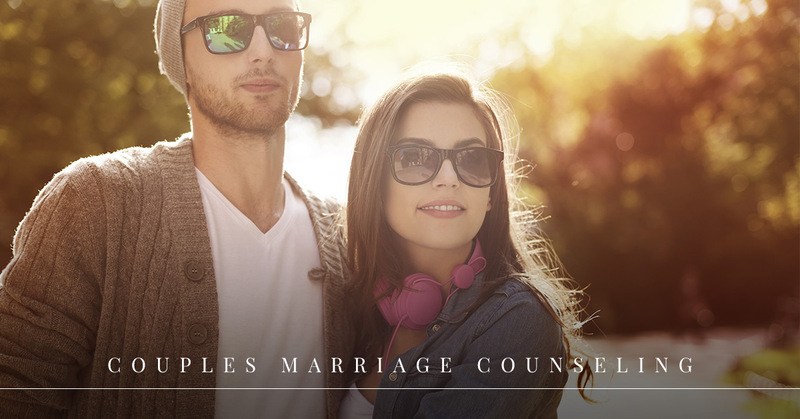 Whether you have been married for 20 years or you are in the beginning stages of a committed relationship, we are here to help you find the best way to communicate effectively, work through underlying issues, and create a healthier relationship for you both. We provide couples marriage counseling and couples therapy in Oklahoma City that is tailored to fit each unique client. Reaching out for help when you are struggling can be extremely difficult. No one likes to admit they have problems in their relationship, but there truly is no shame in asking for aid. You are not alone. You are not strange, dysfunctional, or a failure for struggling. It is normal to go through rough patches in any relationship and often simply the assistance from a therapist or counselor can give you the outside perspective, tools, and resources you need to make changes towards greater happiness and mental healthiness for both parties. There are a number of obstacles couples might face during their relationship. From early dating stages to years into a marriage, trials can feel insurmountable at times. Communication breakdown and the inability to work through problems with your partner can be due to a variety of reasons and influences. It could be due to your childhood and a lack of healthy interactions being modeled for you. You could also struggle to understand the perspective of your partner. Sadly conflict often spirals downward resulting in hurt feelings, further miscommunication, and ultimately a break in intimacy. If you are tired of watching your relationship spiral into a negative spin, or perhaps you simply want to improve upon you and your significant other’s ability to communicate, the first step is to reach out for help. Are you entering a new commitment? We can help you lay the groundwork for a successful relationship through premarital counseling. Have you been with your partner for a number of years, but you struggle to communicate or keep the spark alive like you once did? Talk to us about restoring healthy communication and intimacy to your relationship. Whatever situation you are facing, we would love to meet with you to see if one of our team members is a good fit for your needs. Check out our staff bios by clicking any bio from the agency staff menu tab above to learn more about the individual methods our therapists employ. At Affinity Counseling Services we do not believe in a one-size-fits-all approach. We always tailor our couples counseling and therapy to the specific needs of the individual we are working with at the time. Our goal in couples therapy is to help you reach a place of peace and a healthy mindset. Reach out to us today to get started. We are happy to answer any questions you have and to set up a time to meet with you to see if we are a good fit for your needs.